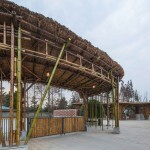 Traditional methods of bamboo techniques experience in the countryside. 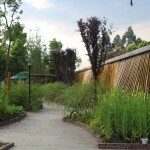 The “Bamboo garden” is located in a typical countryside nearby the city. 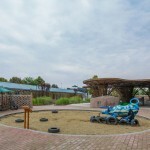 It is a “rejuvenation” project which implants new functions of family activity area in a dairy farm of a local dairy company. 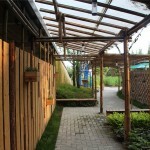 Families can experience the production process of healthy milk and get close to nature. 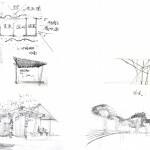 The purposes and strategies of this design are: architecture — land — people, natural material, hand-making construction, and simple values. 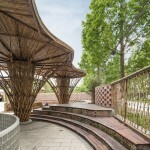 The “Bamboo garden” is not for planting bamboo, but is considered to be an area to experiment with different types of bamboo structure. 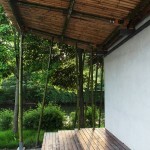 Since ancient times, bamboo has been using for artifacts, also it has been endowing with humanity feelings. 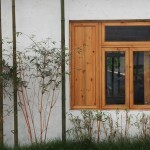 The advantages of bamboo are growing fast, hardness and easy to process. 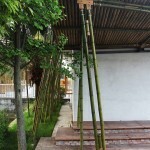 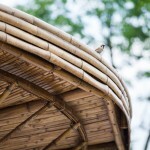 That’s why we choose “bamboo” as the most important natural material. 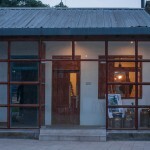 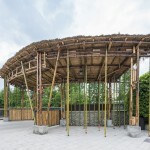 We try to find some new methods to explore contemporary hand-making construction based on traditional methods of bamboo techniques. 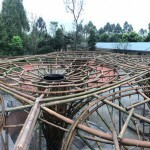 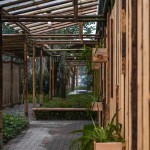 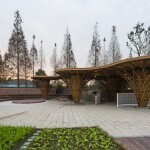 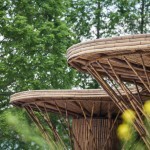 Also we hope to develop bamboo structure as an important architectural type in country life, agriculture and landscape architecture to meet people’s requirements of back into nature. 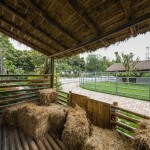 Parent-child activity area is outside and near to the farmers’ living area. 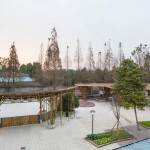 The site stretches from south to north in a long strip shape with a length of 133 meters and a width of 18-32 meters. 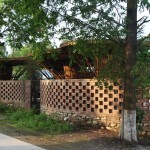 The existing buildings are some bungalows with brick concrete structure. 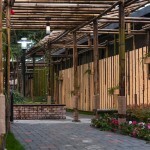 For space design, we adopted two strategies “retain, renovate ” and ”add, implant” to maintain normal working and living here while we rejuvenated this area by implanting parent-child activities. 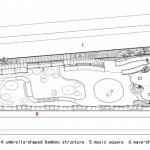 In the way of “add, implant”: From south to north , the “bamboo garden” is planned to be four areas: entrance area, science education area, interactive experiences area and entertainment area. 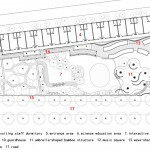 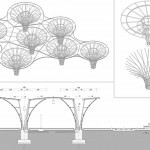 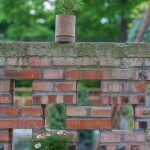 Meanwhile we added several architectures and implanted relevant cultural elements into the four areas. 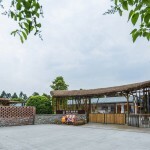 Corresponding with the architectures in each area are: a fan-shaped entrance; an umbrella-shaped bamboo structure, a music square and the wave-sharped bamboo wall; the verandas and bamboo walls; a grass storage. 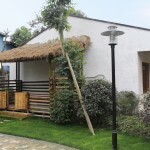 In the way of “retain, renovate”: We retained the staff dormitory and guardhouse but turned four rooms of staff dormitory into sales room, dining room and restroom for visitors; Also we renovated the external space of guardhouse considering with these trees around. 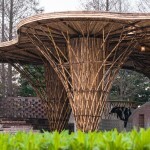 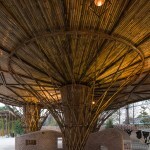 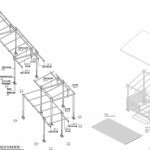 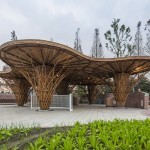 In this design, all architectures are made of bamboo system structure and main materials are all from the nature. 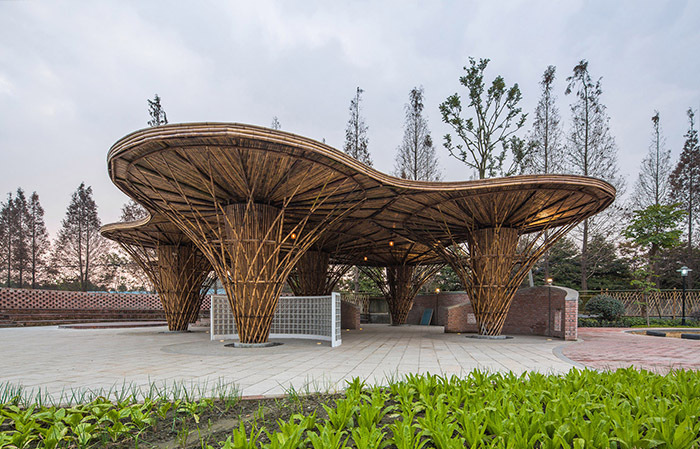 Through experimenting joints in different materials with different ways, finally, each architecture has taken on its richness and differences.